A while back I got this magnetic bike trainer (I don’t recommend it because it is pretty loud), but otherwise worked fine. Until of course it broke. What happened was that there is a single bolt going through the resistance fan into the center of the roller that is engaged when your bike wheel is turning it. The makers of the trainer had not bothered to used any sort of Loctite/glue to keep the bolt from coming loose which of course it did. 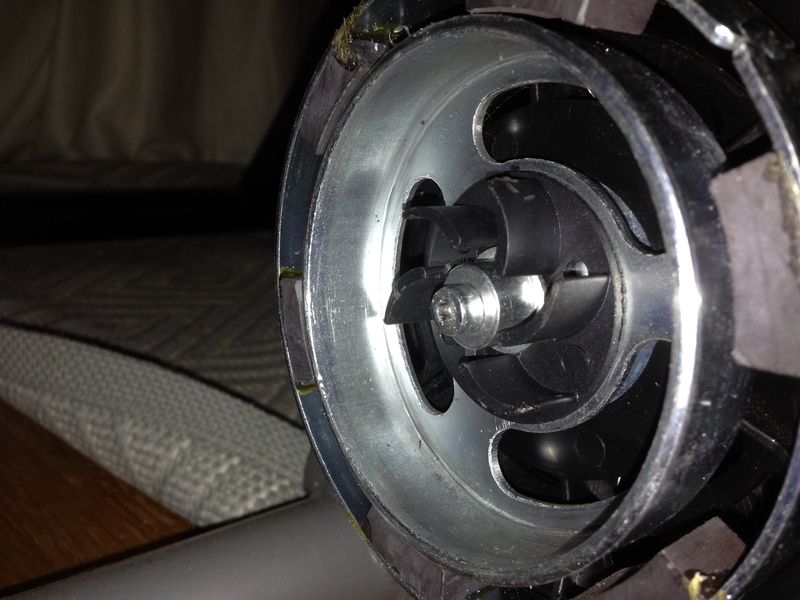 When the bolt came out it bounced around the “cage” that the fan is housed in and broke one of the fins. 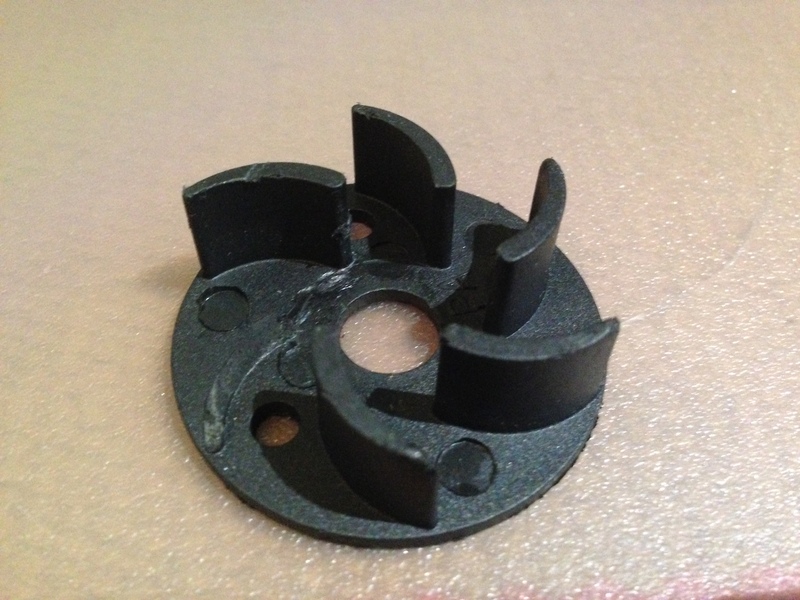 With no bolt to hold everything down the fan and an attached piece of metal came loose and started rubbing against the magnets on every rotation creating a horrible shrieking noise. I opened it up and pulled out the offending bolt and fan. 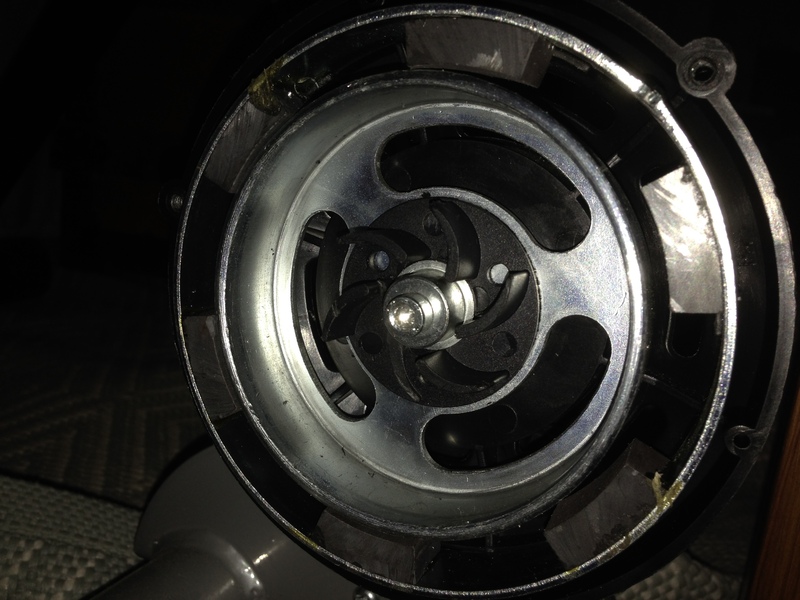 It turns out that the fan is just a little piece of injection molded plastic and since that was the only damaged part of the trainer it seemed like a pretty easy thing to fix. 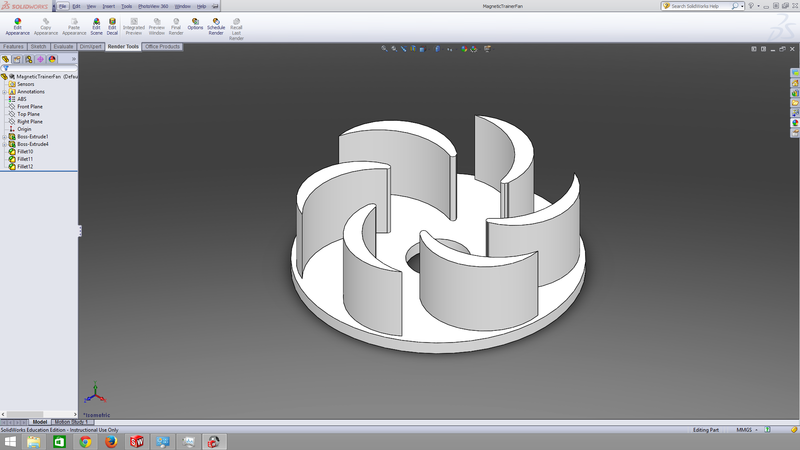 With a little dimensioning later I created a model in Solidworks and sent the model off to a 3D printer. A few hours later I got a pretty close replica. I made the model bigger than the original so it would provide greater resistance.